... from home at her computer screen! Since 10 years, the American satellite archaeology researcher Angela Micol surveys earth's surface via Google Earth in order to find ancient sites. Now, she claims that she has found long-lost Egyptian pyramids. She doesn't want to reveal the exact geographic coordinates because she tries to attract investors and thus to verify her finds with infra-red imagery and excavations. The nine pyramids are part of two pyramid complexes with four resp. 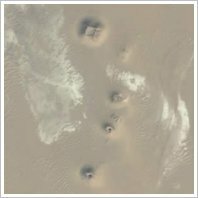 five pyramids, about 90 miles apart. 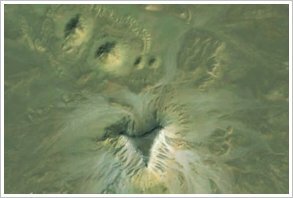 Experts say her pyramids are nothing more than eroded hills. The large, three- and four-sided hills are geologic features known as buttes. 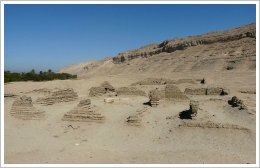 Already in 2011, the American egyptologist Dr. Sarah Parcak found 17 pyramids, more than 1,000 tombs and 3,000 ancient settlements by using high resolution satellite imagery (see our news from 25/05/11). "In the Light of Amarna - 100 Years of the Find of Nefertiti" is the title of an extensive special exhibition on the Amarna period from 7 December 2012 to 13 April 2013. Thereby, the Egyptian Museum and Papyrus Collection at the Neues Museum Berlin will mark the anniversary of the discovery of the bust of Nefertiti by Ludwig Borchardt on 6 December 1912. The exhibition focuses on never-before-seen discoveries from the collections of the Berlin museums, supplemented by loans from other museums abroad, allowing Nefertiti's time to be understood within its cultural-historical context. All aspects of this fascinating period are illuminated and explained in detail. The exhibition comprises approximately 400 objects, including 50 loans from museums such as the Metropolitan Museum of Art, the Louvre and the British Museum. 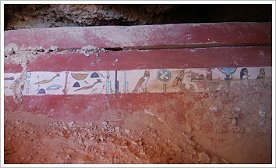 In 2003, a Spanish-Egyptian mission found the richly decorated tomb of Djehuty (TT11), the overseer of works at Thebes during the reign of Queen Hatshepsut, at Dra Abu el-Naga on Luxor's west bank. In the near future a number of artefacts will go on show for the first time in the Luxor Museum. 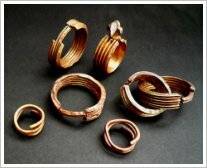 The museum will display a well-preserved sarcophagus of Iker (a Middle Kingdom warrior), five arrows made of reeds, clay vases, dried flowers bouquets, faience necklaces, gilded earrings and bracelets. 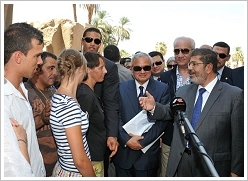 On Friday, 3 August 2012 President Morsi visited Luxor and invited European expats and tourists to come to the Luxor Temple and talk with him. He promised to make every effort to prevent anything that could damage tourism again. "Egypt is safer than before and open to all, and Luxor will remain the capital of tourism and antiquities. Move around freely and make the most of Egypt's climate and ancient civilisation. 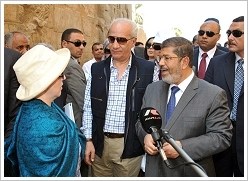 We will do everything possible to ensure you enjoy your stay in Egypt," he said. Followed by a visit to Karnak Temple he finally went to the Conference Centre in order to meet with locals directly involved in tourism: caleche and taxi drivers, hoteliers, shopkeepers, felucca and motorboat men etc. From January to June 2012 5,242,652 million tourists (most from Russia, Poland and Germany) came to Egypt - 27 per cent more than last year at the same period but notably less than in 2010.